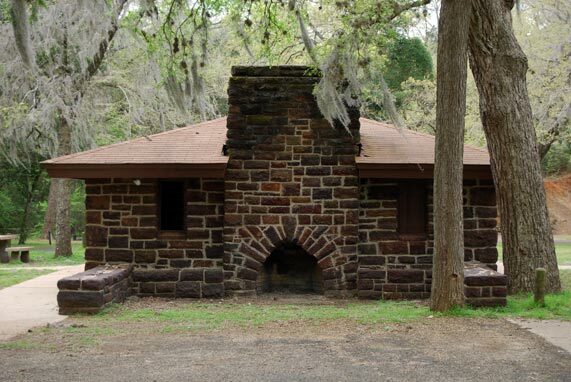 Austin architect Arthur Fehr designed the group pavilion with a distinctive outdoor fireplace area. Inside, backed up to this fireplace, is a set of fireplaces and ovens. The building material is red sandstone, which members of Companies 1805 and 1811 learned to quarry, dress, and lay under the tutelage of LEMs (local experienced men), individuals retained by the CCC as teachers and mentors.